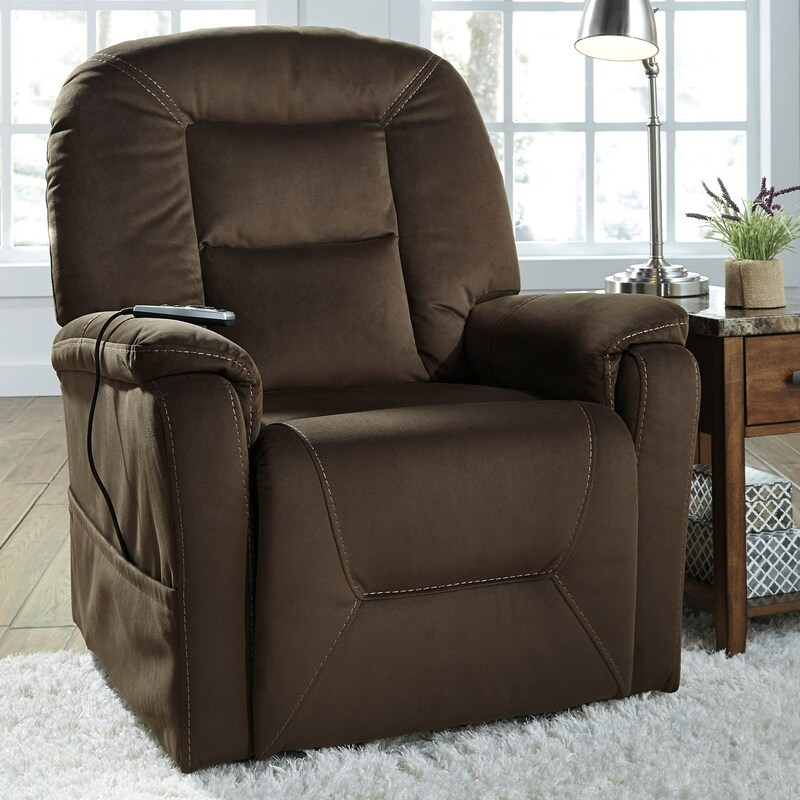 With massage and heat functionality built into this power lift recliner, you have even more reason to relax. Simply use the wired remote control to control recline, lift, heat, and massage functionality. It stores away when not use in the built-in pocket. The soft brown fabric complements the casual contemporary design style. The lift recliner also includes battery backup functionality. The Samir Power Lift Recliner with Massage and Heat by Signature Design by Ashley at Michael's Furniture Warehouse in the San Fernando & Los Angeles area. Product availability may vary. Contact us for the most current availability on this product.